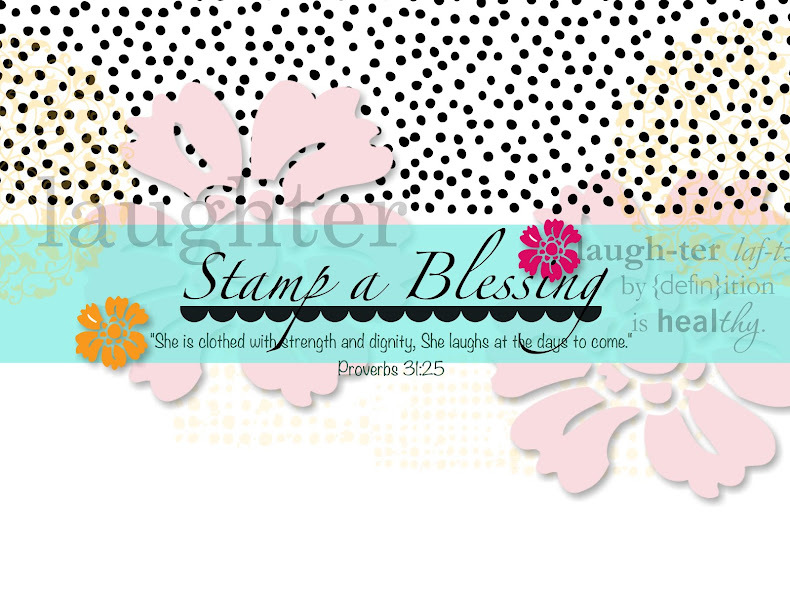 Stamp a Blessing: More good things from Stampin'Up!/Mas cosas buenas desde Stampin'Up! More good things from Stampin'Up!/Mas cosas buenas desde Stampin'Up! 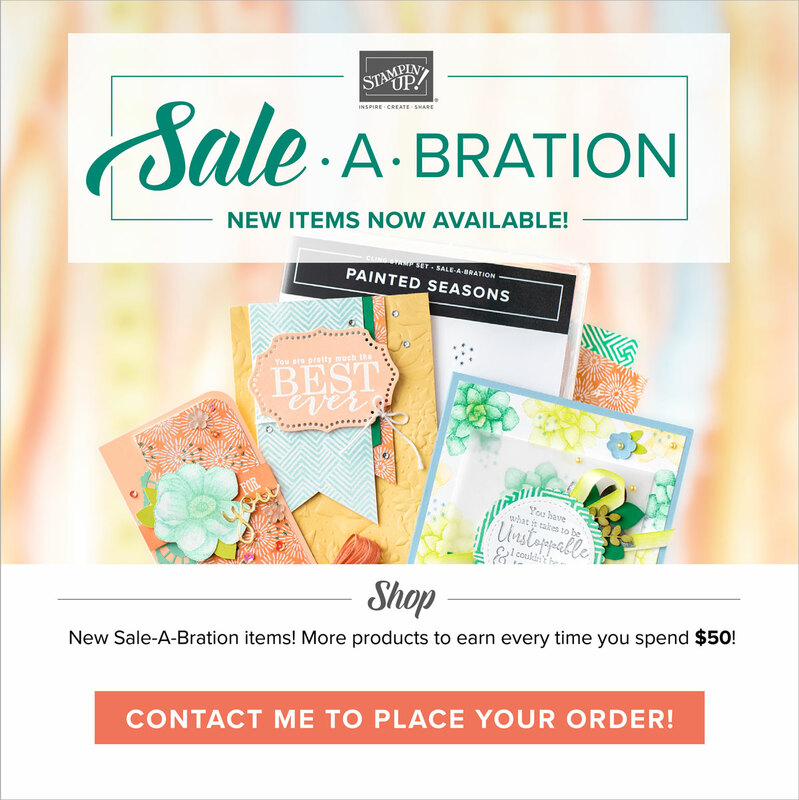 More good things coming to Stampin'Up! Il start by sharing with you two new promotions. First we have new single stamps for sale...yeah! Check them out in the pics below, even new images!! How fun! Second something you dont want to miss. 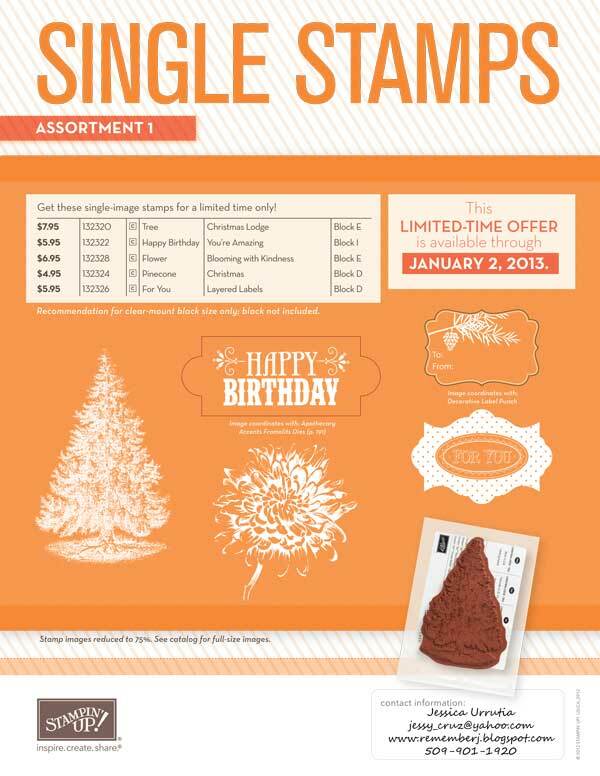 THIS MONDAY October 29th ONLY is a stamps only sale. All stam ps are at 15% off. Ooooh, I cannot wait. So get your catalogs out and check your wish lists, cause this is the best time to get ready for the Holidays. So many cute sets in our new Holiday mini and Main Catalog. If you need a catalog contact me. Contact me on or before Monday to have your order ready or visit my store online on Monday! It ends at 11:59PM CT so dont delay! Mas y mas cosas buenas llegaron a Stampin'Up! Comenzare por contarles que hay nuevos stamp sets a la venta. Vean abajito las promociones de stamps solitos. Un exito! Y aun hasta tres nuevas imagenes! Segundo, no se van a querer perder esta oportunidad! Este LUNES OCTUBRE 29 Solamente una venta de sets de estampar. Todos a 15% de descuento. 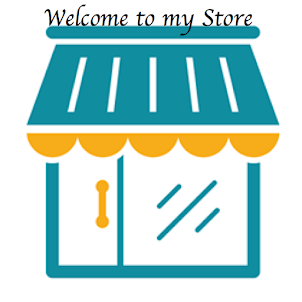 Contacteme con sus ordenes lo antes posible o visite mi tienda en www.rememberj.stampinup.net para que no se lo pierda. 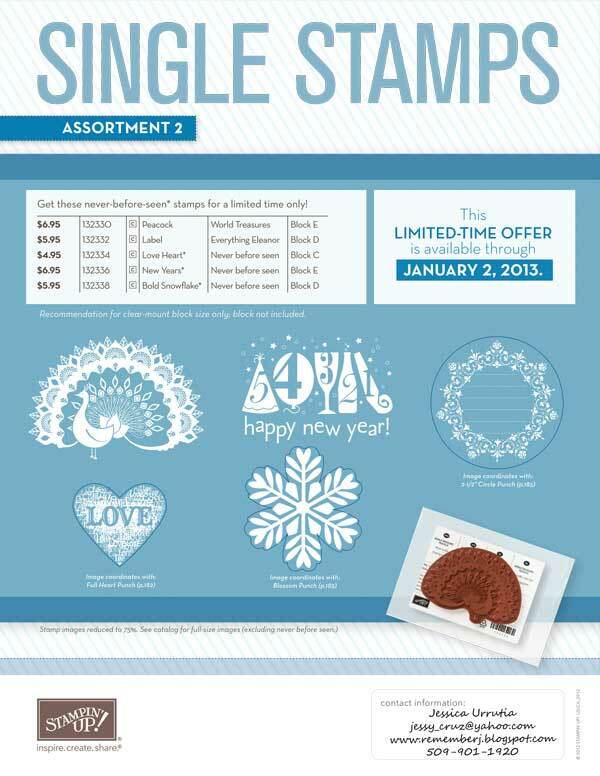 Haga Click AQUI para ver los otros stamps disponibles en singular.